Many things about the new film Bird Box may make you uncomfortable. There’s the obvious stuff, like a terrifying menace taking over the world that kills you if you simply look at it, as well as how that menace impacts different people in surprising and scary ways. Then, most interestingly, there’s how the film portrays its lead character. 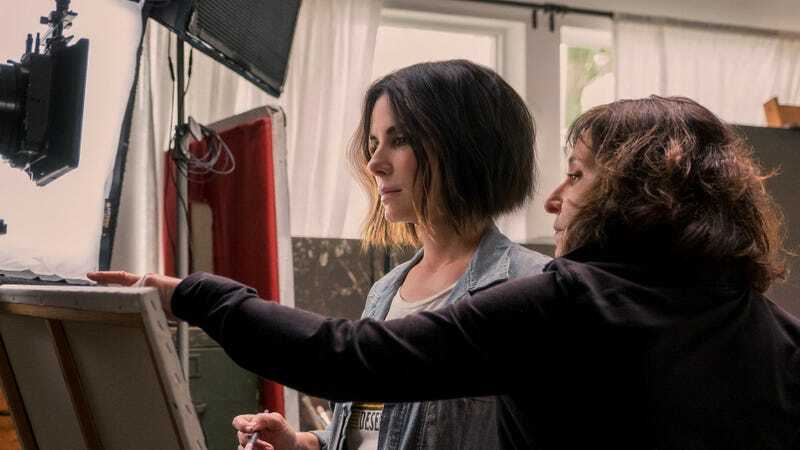 In Bird Box, Sandra Bullock plays Malorie, a loner with strong beliefs who, we learn early on, has little interest in having a family. However, we also learn early on that five years into the future she’ll have two kids she’s trying to save by riding with them, blindfolded, down a river hoping to get to a place where they’ll all be safe. As the film goes back and forth between Malorie and the kids in the present and the world crumbling in the past, we learn that Malorie may be taking care of the kids not out of love, but out of necessity, which feels awfully cynical in an already depressing situation. However, director Susanne Bier says this harsh, clinical take on motherhood in writer Eric Heisserer’s adaptation of Josh Malerman’s 2014 novel is one of the main things that attracted her to the film. The stereotypical perspective on motherhood which Bier is alluding to is one of overt emotion. A kind of gushy, over-the-top love and nurturing. The feeling most of us get when thinking of our families. Which is definitely not Malorie in Bird Box. But Bier says that doesn’t mean she isn’t a strong mother. Normally when a movie portrays a mother figure in such an unemotional state, she’s evil. A villain. And that certainly could be how some people view Malorie at certain points of Bird Box. Bier, however, credits her lead actress for making Malorie such a unique character, because she expertly threads that needle of a mother who has her own way of parenting. is now streaming on Netflix.